Is it your desire to witness the spectacle of international polo matches against a stunning back drop of the Caribbean Sea? Or would you like to sharpen your handicap under the tutelage of a resident coach? If you’ve answered yes, the award-winning Apes Hill Polo Club is ideal. 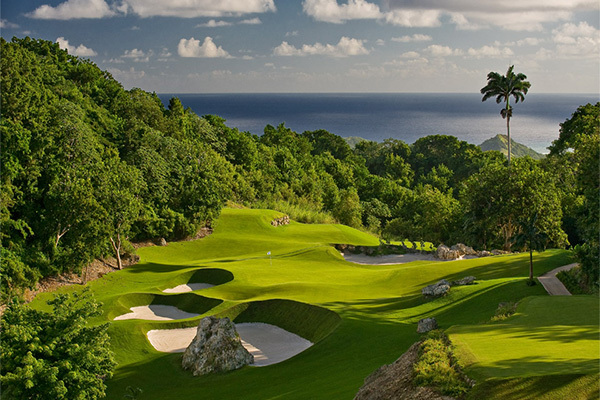 Located in the parish of St. James, Barbados, Apes Hill has an 18-hole championship and is situated on an old sugar plantation, 1,000 feet above the Caribbean Sea. 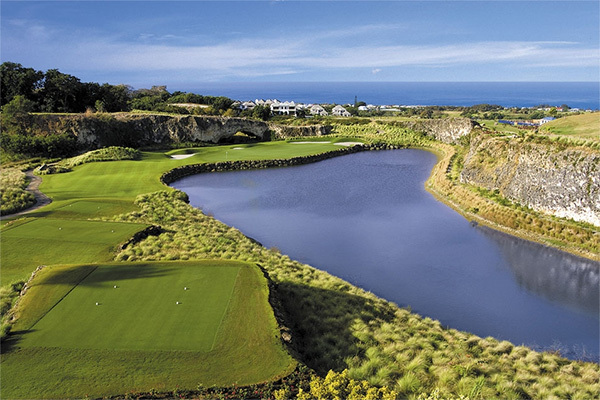 Opened in December 2009, the conspicuously picturesque golf course, visited by Prince Harry, is easily one of the top on the island and by extension, the world. Nestled on 470 acres of land, the copious property, owned and developed by local construction magnate Sir Charles Williams, is a certified Audubon Sanctuary. While the admirable in-house architecture is the commendable work of Chris Cole and Jeff Potts who designed the golf course for Landmark Land Co. 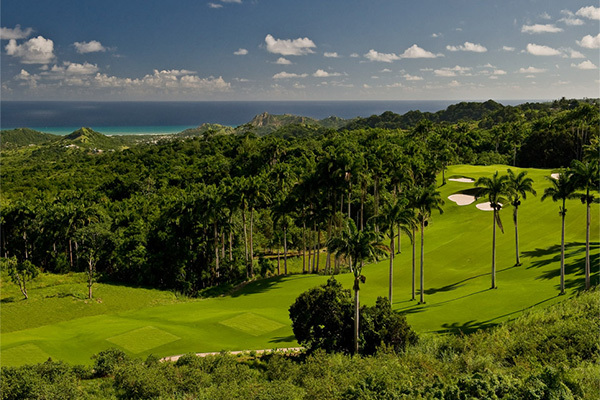 Visitors to the Club often gloat about the splendid views from every hole, the lush tropical landscape showcasing striking old coral stoned quarries and the large practice facility. As for the ambience, you can bask in the glory of lush vegetation, rolling terrain, wooded ravines and sparkling lakes. Also noteworthy are the most challenging and spell-bounding holes: – 12, 13, 14, 15. The most photographed par threes according to Apes Hill is the 5th hole, a 185-yard hole, where the green is cut into the side of the old coral stone cliff. Ben Hatch, Apes Hill Club’s Manager and PGA Head Golf Professional, personal favourite hole is no. 13, a very challenging hole that has dramatic scenery, a huge “risk-reward” gamble and a good test for any skilled player. On the flip side, Apes Hill is also the setting for some of the most impressive real estate in the Caribbean. Each of the three-bedroom Garden Wall Villas, located on the golf course, comes with a private infinity-edge pool. While the three-bedroom Polo Villas, located close to the Polo Club, feature large en suite bedrooms, fully equipped kitchens, spacious living and dining areas, a small plunge pool and access to a larger communal infinity edge pool. 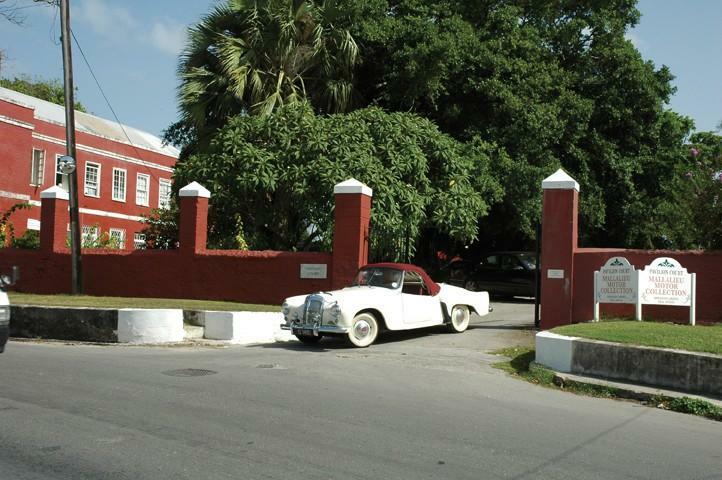 THE RED BRICK COMPLEX located in the historical site of the Pavilion court, Hastings, Christ Church, is home to Bill Mallalieu’s Motor Collection. Commonly referred to as Mr. Mallalieu’s “garage”, the beautiful antique cars illustrate his passion for automobiles and the exciting times of his motor sport journey, with many of his records from 50 years ago remaining unbroken. In fact, Mr. Mallalieu’s passion was so intense that he postponed his wedding by two weeks in order to organize a motor rally in 1959. 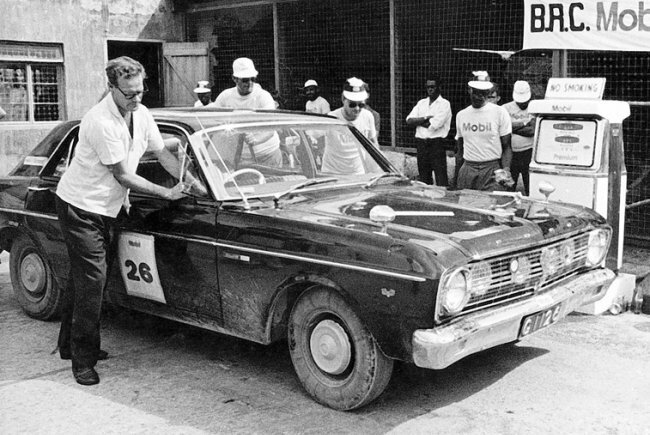 The founder member of the Barbados Rally Club, was nothing short of a fierce competitor and often guaranteed rally patrons an entertaining package given his choice of car. For most locals, the collection is a “well-kept secret” unless they are real car and motor enthusiasts. However, the private collection of exotic vintage cars solely owned by Mr. Mallalieu, tells interesting stories of motoring life yesteryear. According to him, the best way to enjoy anything is to share it and this is supported by the numerous photos displayed on the walls of the garage comprising the island’s first bus, police car, taxi and car with interesting pieces of information attributed to each photo. As for the collection, chief among the list are a Humber, Triumph, Bentley and Daimler to name a few, which are all kept in pristine condition. However, the Bentley made for Prince Bernhard of The Netherlands in 1947 and raced in the ’49 Monte Carlo Rally is number one in his line-up. Number two is also a Bentley called ‘A Mallalieu’ – hand-built by Durham “Derry” Mallalieu – using a MK6 Bentley. It was reported that Derry hand-built a total of 34 of these sports cars to order – this one being number 29 – because the original Bentley bodies rusted too quickly. His number three is a 1953 Daimler Roadster. Of all the impressive and fascinating vehicles that Mr. Mallalieu owns, he’d choose his Volvo 1225, 1963 model in a heartbeat since it was his record-breaking rally car. Attention all Top Gear Fans! 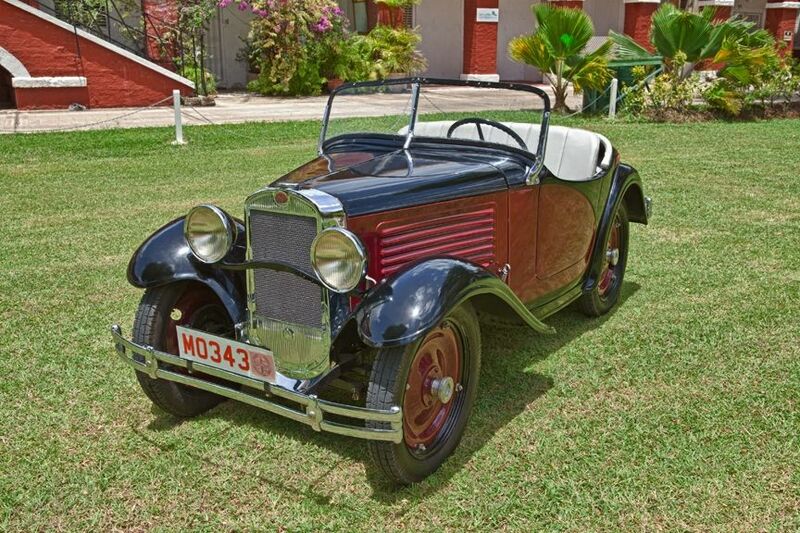 The world’s greatest motoring theatre show will get underway this Saturday, May 17, 2014 at the Bushy Park Race Circuit, St. Philip, Barbados. Hosted by Jeremy Clarkson, Richard Hammond and James May, the stage is set to feature a breathtaking line up of cars and driving entertainment including The Stig, The Top Gear Stunt Team and guest drivers from the world of motor sport and entertainment. Top Gear Live events are renowned for featuring a number of jaw-dropping stunts including the world’s first indoor loop-the-loop which earned the show a Guinness World Record, F1 ice cream van, a heart-stopping 300 ft car bungee and a fleet of flaming 911 Porsches. Word on the street is, fans are anticipating an extraordinary display from Lewis Hamilton following the announcement that he is set to race in his Mercedes AMG PETRONAS Formula One Team Car. Hamilton, whose passion for motor racing began at the tender age of eight, has had an enviable career which includes records for the most consecutive podium finishes from debut, most wins and pole positions in a debut season and most notably was the youngest driver to win the F1 World Driver’s Championship back in 2008. Officials of the Festival asserted that fans will be treated to the “spine-tingling roar” of the F1 W04’s Mercedes- Benz Formula One engine as the Mercedes AMG PETRONAS. Additionally, they will get the chance to witness Lewis drive in only his second season with Mercedes – having joined the Silver Arrows works team for the 2013 season – and achieving five pole positions in his F1 W04. Hamilton, 29, joins an illustrious list of F1 supermoes, World Champions and race winners to appear at a Top Gear Festival including David Coulthard, Mark Webber, Mika Hakkinen, Jody Scheckter and Eddie Jordan. Jordan rejoins the Festival as a host, after making an appearance at Top Gear Festival South Africa in 2011. He said: “It’s great to be going back to the Top Gear Festival. Since I last joined the team in 2011, the Top Gear Festival has grown bigger and better, and it’s fantastic to be a part of their first event in the Americas. I’m looking forward to seeing what Jeremy, James and Richard have in store for me – but also for Lewis Hamilton.” As Barbados is home to the Caribbean’s biggest annual motor sport international, Sol Rally, Top Gear Festival Barbados promises to bring some of the quickest, fastest and most sophisticated rally cars ever built-in the Group B Rally Car Showdown to ensure a fantastic rallying spectacle.